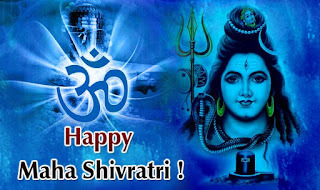 Mahashivaratri, in simple words, is the night of Mahashiv. It is the most important and auspicious festival for ‘Shiv Bhakts.’ It takes place in the month of Maagh/Phagun (February/March) during the dark phase of the moon and is celebrated with utmost reverence and enthusiasm. According to Pujya Guruji, Lord Shiva goes into deep meditation on ‘Kartik Purnima’ and emerges from that state on the midnight of Mahashivaratri (except that He wakes up on Ganesh Chaturthi for a day and again goes into deeper meditation). The period between ‘Kartik Purnima’ and Ganesh Chaturthi is called Shakti period when Shakti is supreme. During the period (Kartik Purnima to Mahashivaratri), it is the cardinal duty of all Shiv Bhakts to follow their Lord, i.e., to meditate (dhyana yoga), practice maximum possible ‘Japa’ and lead a pious and ‘satoguni’ life in terms of 'aahaar' (the nature of food that we consume), vyavhaar (conduct), and Chintan (thought process). Some scriptures describe Lord Shiva as the destroyer, Lord Vishnu as the protector, and Lord Brahma as the creator. Those who have superficial knowledge consider these three manifestations as separate and different from each other and worship them accordingly. But it is not prudent for a devotee to worship his ‘Isht’ as a mere part of the whole or as an incomplete power. At the beginning of creation, the Mahashakti created out of Herself Lord Vishnu and then Lord Brahma and Lord Shiva to perform the functions of protector, creator, and destroyer respectively. For procreation and multiplication of this universe, once again, She created, three Mahashaktis - (Mother Lakshmi, Mother Saraswati, and Mother Parvati). All these manifestations emanated from one source, and that ultimate power manifested Herself in different forms to perform various functions. In reality, that formless (nirakaar) as well as inform (Sagun) Brahm is called Ishwar, Maheshwar or Mahashakti. THAT omnipresent, omnipotent, omniscient, infinite, absolute truth and the creator, protector, and destroyer is Himself Brahma, Vishnu, and Mahesh. He manifests Himself in these three forms to perform the functions of the Creator, Protector, and Destroyer. He is Plural in Singular and Singular in Plural. He has no beginning and no end. He is immanent, primeval, and eternal. It is explained in Puranas that each of the three lives in the others’ heart, they enhance each other and are ultimately the same power. In essence, he who has understood Shiv-Tatva in the right perspective knows all and nothing more remains for him to follow. For him, that instant of awareness and enlightenment is Mahashivratri. Sagun or Sakaar Lord Shiva’s dress and appearance have an extraordinary spiritual significance. Each ornament on His body has a deep symbolic meaning. a) His complexion is white (sfotic) and indicates satoguna, simplicity, and transparency b) He wears a crown of thick locks of hair, and a small snake acts like a feather in his head. The holy Ganga flowing out of his ‘jattas’ symbolizes that as long as the snakes of passion, sensuality and worldly desires remain in our mind, we cannot get liberated. Therefore, it is essential to keep the Ganga of devotion (bhakti) and spiritual knowledge flowing at our intellectual level. c) Usually, curved or crooked objects (vakra) are not considered to be auspicious, but the crescent moon (tilak) adorns Lord Shiva’s forehead. It means that what is not acceptable to others, Lord Shiva accepts that as his own because every single molecule in this universe belongs to him. d) People dread snakes, but the same snakes get the honor of decorating His ears as kundal) and in the form of bangles (Kangan) on his arms. This really means that listening to spiritual discourses or words of devotion and wisdom or naad (sitting in meditation) can help in controlling the unstable mind and one can exercise restraint on sense objects. This is exactly what Pujya Guruji used to say. “snakes and scorpions (bad persons) will come to me. I cannot turn them away. My object is to make ‘Bhagwan’ out of ‘shaitaan’ and put them on the path of bhakti and seva. e) Lord Shiva’s body is smeared with ashes from cremation ground which suggests an inclination towards renunciation. This reminds us of the ultimate end of our gross body; we must always remember that death is inevitable. So live this life like a spectator in a detached manner. Ashes on His body also symbolize that time and death are under His control. It is relevant to recall Pujya Guruji’s words here, “I am not bound by time, but time is bound to me.” There are also instances of persons lying on death bed getting an extension of life with Guruji’s grace. f) Mundmaala(garland of human heads) adorning Lord Shiva’s neck signifies that after the gross and the subtle body is destroyed, causal body (kaaran shareer) remains with sanskaars awaiting rebirth. This is also a reminder of death and urges detachment from the material world. g) His apparel of lion skin represents bravery, competence to rule, and the ability to confront any situation. Lion’s skin is also a good ‘aasana’ for meditation. h) Trinetra – being the Lord of the universe, His Trinetra signifies Surya (sun), Chandra (moon) and Agni (fire). They also imply that He is all-knowing; He knows the past, present, and future. i) The Trishul signifies that Lord Shiva is the destroyer of three types of pains and agonies – physical, mental, and natural disaster (aadibhautik, adhyatamik, and aadidaivik). It also suggests that Lord Shiva is beyond the three states of life – Jaagrit, Swapan, and susupti (turiyameva kevalam). j) Neelkanth - After Samudra Manthan, devtas hesitated to accept the poison, but the deva of devas (Mahadeva) readily drank that poison (vish) and relieved devtas of their dilemma. He neither spat it out nor did gulp it down but held it in his throat. This signifies that one should face favorable and unfavorable situations, grace or disgrace, fame or infamy with equanimity. If you react, you tend to annoy others, and if you digest, you suffer the pain yourself. Therefore, face all odds and evens with a composed mind. k) Damru – the sound of damaru drives away troubles. It is also a symbol of dualities, e.g., day-night, gain-loss, happiness-sorrow, fame-infamy, success-failure, life-death, etc. Lord Shiva has full control over these duties, so his devotees and saadhaks should strive for the same and attain stability of mind. l) Nandi – Riding the Nandi signifies that the Lord is firmly established in dharma and righteousness. 1) ‘Bhasm’ (Prithvi), 2) Ganga (jail), 3) Teesra Netra (Agni), 4) ‘Sarp’ (Vayu), and 5) damaru (akaash). Decorated in fourteen varieties, Lord Shiva is worshipped and offered salutations in fourteen worlds (Bhuvans). The festival of Mahashivratri is celebrated with great devotion and enthusiasm at Sector 10-A Gurgaon and at Samadhi Sthal, Najafgarh, New Delhi. These two venues are elaborately decorated with flowers and buntings. One can feel the fragrance all around, and the environment is charged with devotion and spirituality. Thousands of men, women, and children throng the two venues. Shishyas, devotees, and the public in general, from all over the country and abroad, assemble at these two places, form long queues from morning till late at night to offer their prayers. As per the ritual, they offer flowers, bel, belpatra, akk flowers, dhatura, etc. in the worship of Lord Shiva and receive blessings from Param Pujya Guruji, Pujniya Mataji, Respected Shri R.C. Malhotraji, and other Gurubhais. 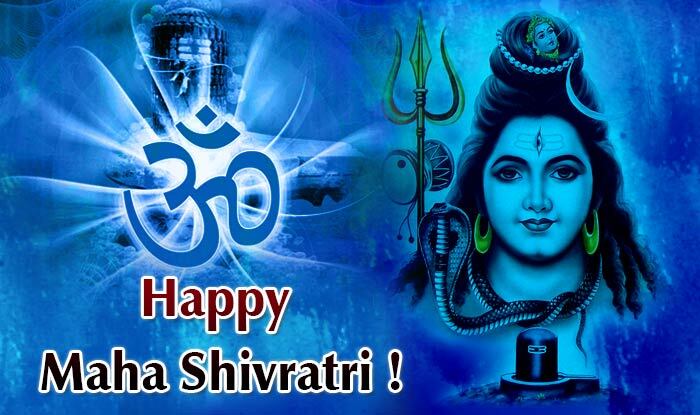 On the occasion of Mahashivratri, Shishyas and devotees observe fast. Shishyas do not consume even a drop of water since early morning (Brahm mahurat) till past midnight. However, the elderly, those who are ill or ladies who are not in a position to follow such a rigorous discipline, may take fruits or a hot drink, such as lemon tea. Throughout the day Shishyas do Japa of all the mantras bestowed upon them by Pujya Guruji. (Pujya Guruji had advised that intensive Japa - of all the mantras given by him – done throughout the Mahashivratri day has many times more effective than Japa done during regular days. Little before the midnight ‘Abhishek’ ceremony of Shivlinga is performed in Shiv Mandir at Samadhi Sthal, Neelkanth. After midnight, the fast is broken with Jal (prepared earlier during the day by senior shishyas) which contains kesar, lung, elaichi, kaali march, bel, bel-patra, dhatura, akk flowers, etc. and all these ingredients are spiritually sanctified with sacred mantras, and it tastes like Amrit. This is followed by pieces of fried potatoes with delicious masala and a cup of lemon tea infused with herbs/spices. At the time of breaking the fast, many persons from the public also join the shishyas and sewadaars at Sector 10-A, Gurgaon and at Neelkanth. Observing ‘nirjala upvaas’ throughout the day has scientific and medical validity. It generates a tremendous amount of heat in the body which is capable of killing germs and ensures maintenance of good health. Cereals are taken the next day after sunrise. Rituals are proper as they induce you to worship and help in generating satoguna. But in reality, the moment you are able to withdraw yourself from worldly attractions and enter the realm of inner consciousness, that moment is Mahashivratri. The moment you are able to rise above sensuous pleasures and pains and experience inner peace and perceive the light of divine existence, that moment is Mahashivratri. The moment you are able to attain stability of mind and maintain equanimity in a state of duality; the moment you are able to forget your individual entity, and HE only remains, that moment is real Mahashivratri.